^ ا ب پ ت McDaniel 2004، صفحہ۔ 90. ^ ا ب Brown 1998، صفحہ۔ 26. ^ ا ب پ McDaniel 2004، صفحات۔ 90-92. ^ ا ب پ ت Brick، David (April–June 2010). "The Dharmasastric Debate on Widow Burning". Journal of the American Oriental Society 130 (2): 203–223. ↑ McDaniel 2004، صفحہ۔ 91. ^ ا ب Sugirtharajah، Sharada (2002). "Hinduism and Feminism". Journal of Feminist Studies in Religion 18 (2): 97–104. ↑ Wadley، Susan (1977). "Women and the Hindu Tradition". Signs 3 (1): 113–125. doi:10.1086/493444. ↑ Mācave P. "Hinduism, its contribution to science and civilisation." 1979. ISBN 978-0-7069-0805-3. "Yatra ... Where women are worshipped, there the Gods are delighted. But where they are not worshipped, all religious ceremonies become futile." 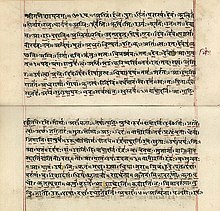 Mahabharata 13 - 45.5 and منواسمرتی 3 - 56. ^ ا ب Brown 1998، صفحہ۔ 7. ^ ا ب Brown 1990، صفحہ۔ 2. ↑ Coburn 1991، صفحات۔ 1-7. ^ ا ب Brown 1990، صفحات۔ 6-7. ↑ McDaniel 2004، صفحات۔ 215-217. ↑ Coburn 1991، صفحات۔ 17-21. ↑ Brown 1990، صفحہ۔ 215. ↑ Brown 1998، صفحہ۔ 8. ↑ Mukherjee، Prabhati (1983). "The Image of women in Hinduism". Women's Studies International Forum 6 (4). ↑ Christopher John Fuller (2004), The Camphor Flame: Popular Hinduism and Society in India, Princeton University Press, ISBN 978-0691120485, pages 30-31, اقتباس: "ہندومت کی کثرت پرستی میں الوہی وجودوں اور انسان کے باہمی تعلق کو قطعی حیثیت حاصل ہے۔ یہودیت، مسیحیت اور اسلام کے وحدانی پیغام، جو خدا کے مخلوق سے تنوع، اس کے انسان سے یکسر الگ ہونے اور اس کی وحدانی تجسیم کے برخلاف ہندومت کے امر مسلمہ کے مطابق انسان اور الوہیت کے درمیان کوئی واضح انفرادیت نہیں ہے۔ ہندومت کے بنیادی فلسفے میں تمام الوہی وجودوں کے ایک ہونے کے تصور کو بہت آسانی سے اس دعوے تک وسعت دے دی جاتی ہے کہ درحقیقت تمام انسان ایک وجود مطلق یعنی برہما کے مختلف روپ ہیں۔ گو کہ عملاً یہ مبہم وحدانی نظریہ ایک عام ہندو کے بیانات سے نہیں جھلکتا لیکن خدا اور انسان کی باہمی نفوذ پذیری کی مثالیں متعدد سیاق و سباق میں مقبول ہندومت میں دیکھی جا سکتی ہیں۔"
^ ا ب Bowker J. H and Holm J. "Women in religion." Continuum, London 1994 p79 ISBN 0-8264-5304-X. ↑ Carroll، Lucy (1983). 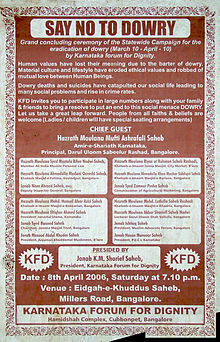 "Law, Custom, and Statutory Social Reform: The Hindu Widows' Remarriage Act of 1856". Indian Economic and Social History Review 20 (4): 363–388. doi:10.1177/001946468302000401. ↑ Brick، David (April–June 2010). "The Dharmasastric Debate on Widow Burning". Journal of the American Oriental Society 130 (2): 206–211. ↑ Brick، David (April–June 2010). "The Dharmasastric Debate on Widow Burning". Journal of the American Oriental Society 130 (2): 212–213. ^ ا ب S Jain (2003), The Right to Family Planning, in Sacred Rights: The Case for Contraception and Abortion in World Religions (Editor: Daniel C. Maguire), Oxford University Press, ISBN 978-0195160017, page 134, Quote - "The Atharva Veda confirms... a brahmacharini has better prospects of marriage than a girl who is uneducated"; "The Vedic period.... girls, like boys, are also expected to go through the brahmacharya..."
↑ Bhatia، Nandini (2003). "Fashioning women in colonial India". Fashion Theory 7 (3-4): 331. ^ ا ب Srinivasan، Amrit (1985). 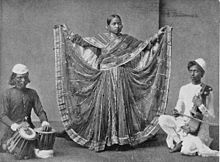 "Reform and Revival: The Devadasi and her dance". Economic and Political Weekly: 1869–1876. ↑ Fane، Hannah (1975). "The Female Element in Indian Culture". Asian Folklore Studies: 51–112. ↑ Fane، Hannah (1975). "The Female Element in Indian Culture". Asian Folklore Studies: 57–60. ↑ Fane، Hannah (1975). "The Female Element in Indian Culture". Asian Folklore Studies: 74–83. ↑ Fane، Hannah (1975). "The Female Element in Indian Culture". Asian Folklore Studies: 60–73, 83–109. ^ ا ب Arti Dhand (2009), Woman as Fire, Woman as Sage, State University of New York Press, ISBN 978-0791471401, pages 4-5; Quote: "The unfortunate result of such scholarship was the creation of a monumental stereotype of the Hindu woman from which a critical reader could derive little substantive knowledge of the particular values undergirding Hindu women's lives in different eras and locales, or the historical, social, political, and legal strictures under which they labors at different periods of history. (...) These works however still condition the questions that scholars raise of Hinduism, and the categories by which women's experience is analyzed and assessed. Perhaps the biggest problem with many works on women in Hinduism is that they presuppose a general category of womanhood, thus creating an essence where none exists". Madhu Kishwar, Women Bhakta Poets : Manushi (Manushi Publications, 1989). ASIN B001RPVZVU. Madhu Kishwar. "The Daughters of Aryavarta: Women in the Arya Samaj movement, Punjab." In Women in Colonial India; Essays on Survival, Work and the State, edited by J. Krishnamurthy, Oxford University Press, 1989. Sugirtharajah، Sharada (2002). "Hinduism and Feminism". Journal of Feminist Studies in Religion 18 (2): 97–104.